Are you new to sailing and would like to get involved in sailboat racing? Are you and experienced sailor who would like to develop and improve your racing skills? Perfect Circle Racing is and educational, training and certification program to help sailors and non sailors get involved in sailboat racing, become better racers, and have a great time in the process. Fred has been known to charter a large 4 or 5 cabin boat in some exotic ports through out the world and take a group of his friends on an adventure. One of these days, many of those pictures, charts and commentary will be posted here. A sequence of photos showing a top mark rounding. This series of photos shows how close one design racing can be. A Top Mark Spinnaker Set A sequence of photos showing a top mark Spinnaker set. 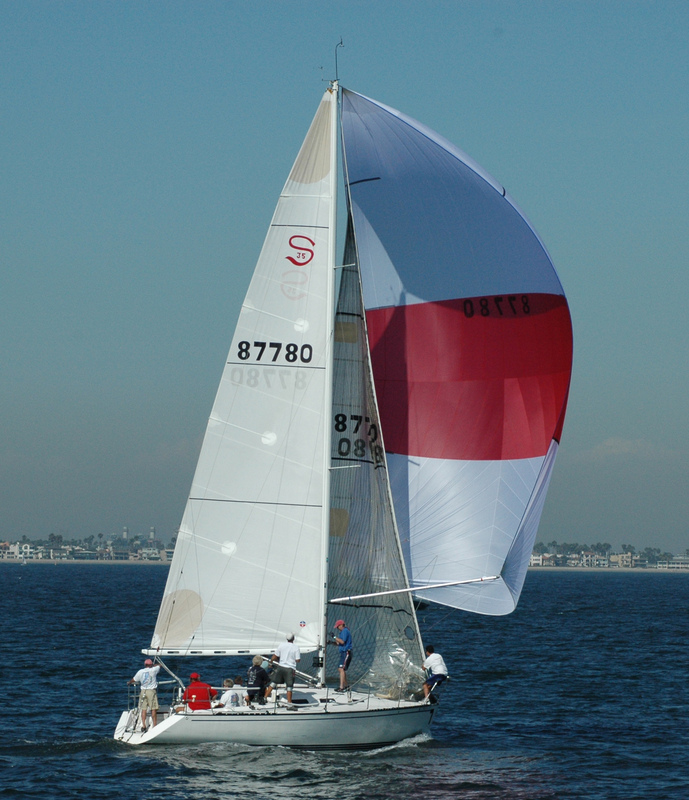 This series starts at the top mark and follows the boat around as the spinnaker is set and trimmed. Some pictures of Fred and the gang on his Schock 35s during the campaign years. Join PC Racing, get some training, get certified, and come out sailing with us. Get on our Email List, to be informed about our training and sailing schedules so you can participate when you are available. Fred has been teaching performance sailing seminars since 2004 in yacht clubs from Ventura to San Diego. If your club would like to host one of these seminars, please contact Fred Young.